Registration for Winter Activities begins Saturday, December 16 at 10 am. Add classes now to your online WishList and register for them all with one click. View the Winter Catalog and register online at www.sfreconline.org or stop by the Rec Center office to do so in person. Movin' and Groovin' is back for tots (ages 2-4) from 1:30 - 12:15 a.m. on Thursdays. Other than this, the Winter Schedule is identical to the 2017 Fall Schedule. Upper Noe Neighbors is hosting Neighborhood Emergency Response Team (NERT) training beginning January 17. The course will run six consecutive Wednesdays from 6:30 to 9:30 p.m. through February 21. These courses prepare us to be safe and self-sufficient in an emergency. 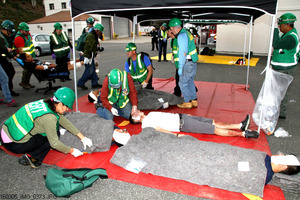 Noe Valley and Glen Park NERT team members will be on hand to share their experience and skills. Current NERT members have a chance to refresh their training and re-certify to remain active. Upper Noe Neighbors (UNN) will not have a regular meeting in January. Instead, they encourage everyone to check out NERT. Learn how to take care of yourself, your family and your neighborhood in the event of an earthquake or other disaster. Get to know your neighbors through this interesting and useful training. UNN will meet in March 21 for Spring Festivities and annual elections. 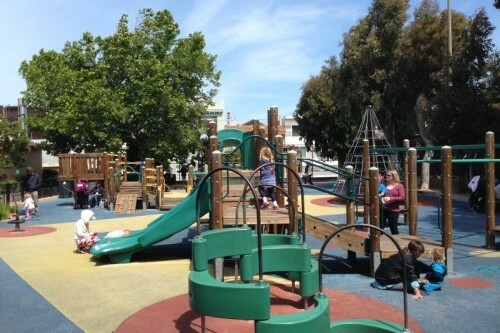 Friends of the Noe Valley Recreation Center provides equipment and support for our wonderful neighborhood park, its patrons and staff 365 days a year. Please consider a tax-deductible contribution to help keep our park clean, safe, accessible and fun.